Comments: Comments Off on Joe Banner, I warned you three weeks ago! Joe Banner, I warned you three weeks ago! 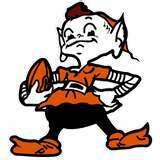 On Jan. 24 I warned both Joe Banner and Mike Lombardi that Jimmy Haslam had more bullets in his gun. 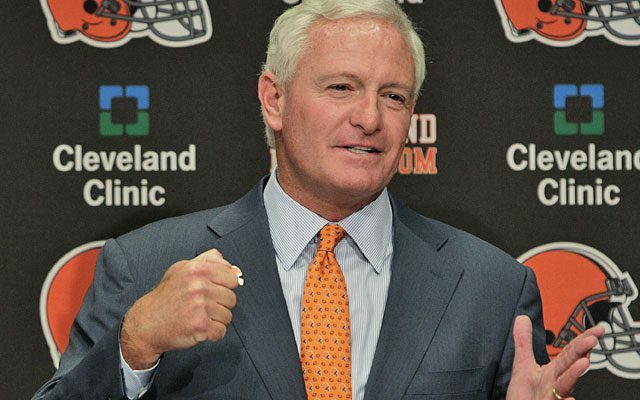 Today Haslam pulled the trigger again twice to end the reign of the King and Crown Prince of football in Cleveland. It was a very good move. Anyone that has listened to my radio show knows I am not a big fan of either one. Banner is a very good cap manager. However, he has NO BUSINESS sticking his nose into the selection of coaches or players. The only place we saw Mike was on milk cartons asking “have you seen this person?” But the concept of being the smartest guys in the league was obvious in several of the draft picks and free agent signings during their reign. Despite protestations to the contrary, it was clear that many viable coaching prospects felt the Browns’ job was not worth the risk of working with Banner and Lombardi. Radioactive or not, it was not a management team that inspired confidence in the potential hires or the fans. 4-12 stains everyone involved. Now the Browns have a solid coach and a real football man in the front office. That is a good move. Many of my guests on the show hoped that new GM Ray Farmer would have a major input into the use of the 10 picks in the Browns possession. I join any number of life long Browns fans in cheering the move and the willingness of Haslam to recognize something was not working. Congrats Jimmy. We are with you and the team. With the changes today it is a lot easier to have confidence. NOTE: Check out the live News, Notes and Rumors show on Monday, Thursday and Friday at 6 PM Eastern on or https://fryingpansports.com/radio-show/. On Monday Samantha Bunten of NBC Sports and I discuss the results of the weekend. Thursday shows alternate between NFL Draft and basketball. On Friday Tony Williams Giants beat writer for Metro New York joins Samantha and me to preview the upcoming games. The archive is available on https://fryingpansports.com/radio-show/. While the cat is away the mice will play. The cat is owner Jimmy Haslam. He is away dealing with his own issues around the investigation by the Justice department into Flying J/Pilot. The mice include both team president Joe Banner and GM Mike Lombardi. The mice just stole the cheese and traded it to the Colts. There are several things that stink like 10 year old limburger about this deal. The Colts will likely end up with a record of 10 or 11 wins. That severely dilutes the value of the first round pick the Browns got in exchange for RB Trent Richardson. That means that the pick will be in the 20’s. Before the 2012 draft the Browns tried to trade for QB Robert Griffin III with the fourth and 22nd picks overall but were rebuffed by the Rams. Just because they have two first round picks does not guarantee they can trade up to get the best QB. The first pick is most likely to go to Jacksonville who will not trade it because they need a QB worse than the Browns do. Based on the Banner/Lombardi draft of 2013, there is little evidence that these two could pick a good player if they knew exactly what those teams in front of them were going to do. The 2013 draft looks bad because the team drafted players with lingering injuries or that have not developed as they hoped. The only productive pick in the draft was the first round for Barkevious Mingo who made his first appearance last Sunday. He has been out with an injury as well. In addition, Banner has no history of successful involvement in the draft. He has been known as a numbers cruncher. Lombardi has been known as a draft guy but has a track record that would choke three horses and a herd of buffalo. Team management has decided to dump the 2013 season to get a high draft choice. The fans now understand that and are not happy about it. There is another issue as well. How does Banner expect to resign C Alex Mack and other priority free agents on the team? How do they expect to bring in free agents to supplement the draft given their propensity for throwing seasons away? The answer is clearly they do not and could care less. Banner and Lombardi are out to prove they are the smartest guys in the league. Usually when someone thinks he is the smartest guy in the room he is not even in the running. For the second time in two tries, the Browns are lead by a group that wants to prove they can do it their way. Mike Holmgren had that same attitude. His tenure led to disaster. Only time will tell how this regime will do. I will believe it will succeed only when I see it.